In a world where there is seemingly a “superfood” being announced every single week, it can be tough to take the word seriously from time to time. We know that we should be consuming plenty of fresh and nutrient-dense foods on a daily basis, but finding these foods is particularly tricky. One week a food is healthy, the next it is being written off as potentially dangerous and harmful to your health, so where do you turn? Well, you could go with some old tried and tested favourites, or you could move with the times and start anew. Teff flour for example, despite being used for literally centuries upon centuries, is only now really making its way into the public eye, due largely to the fact that it is incredibly healthy and beneficial. Here’s a more detailed look at this weird and wonderful flour. Derived from teff, a grass which is native to Ethiopia, it is the seed that contains much of the nutrition, and it can either be cooked in grain form, or it can be milled and made into flour, which is what we’ll be focusing on today. Teff grains are very fine and are roughly the same size as poppy seeds. What’s more, they come in many colours, including: white, dark brown, and even red. It thrives in difficult climates, which is one of the reasons why experts believe that it is considered so nutritious. Teff flour contains natural goodness that the human body absolutely adores, including: dietary fiber, protein and calcium. Despite the fact that teff grains are so tiny, the health benefits that they provide are astronomical! Here’s a look at just some of the primary benefits associated with teff flour. One great benefit of teff flour is the fact that it is naturally high in protein, making it a fantastic protein alternative for vegans and vegetarians. 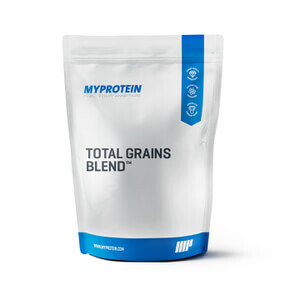 Protein is essential for cellular function and regeneration, not to mention the fact that muscular growth and recovery also rely heavily on protein, which is why teff flour can be great for vegan and vegetarian bodybuilders, or simply for people looking for a high-protein alternative to regular flour. ✓ What’s more, teff flour also contains eight essential amino acids out of nine! Another benefit of teff flour is that it is gluten-free. Individuals who suffer with gluten allergies or intolerances, or celiac disease, can use this flour for baking, allowing them to make nutritious and delicious baked goods. A lot of people choose to start their day with a slice or two of fresh bread made from teff flour, because it is such a great source of energy. As it is a wholegrain, teff flour’s carbohydrates are broken down slowly, providing a steady stream of energy to the body, that lasts for several hours. ✓ Combine this with the high amino acid content, and teff flour is able to provide steady streams of long-lasting energy, without any nasty crashes associated with more refined carbohydrate sources. Teff flour also happens to be naturally rich in fibre, particularly soluble fibre. This provides several benefits. 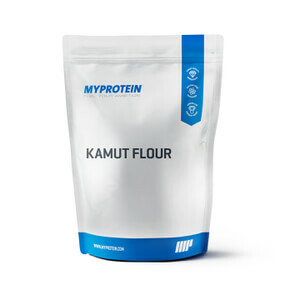 One single ounce of this flour provides more than 5 grams of fibre, which can help to promote healthy and regular bowel movements, whereas toxins are efficiently removed from the colon during this process. Teff flour may help to assist with weight loss as the soluble fibre, when it comes into contact with water in the stomach, breaks down and forms a fine paste which swells and coats the lining of the stomach. This helps to increase satiety, therefore helping to keep you feeling full for longer. ✓ The fuller you feel, the less you eat, and the less calories you will consume. Finally, the last major benefit associated with this flour is simply the fact that it naturally contains health-benefiting ingredients. Teff flour contains protein, it contains amino acids, vitamins and minerals. This combination may helps to ensure that the immune system becomes stronger and more efficient than ever before, promoting overall health and well-being. ✓ As teff contains iron and calcium, it may positively effect blood haemoglobin levels and bone health respectively. Before we wrap things up, we’ll leave you with a fun fact. Teff grains are naturally tiny in size. In actual fact, teff means ‘lost’ due to the fact that if you were to drop a grain on the ground, as it was so small, the grain would be lost forever!